It finally happened. A new bike caught your eye, and suddenly that once-wonderful motorcycle that occupied your attention for years has turned into a source of funds for the next one. Or maybe that new bike means the garage space allotted to motorcycles has been exceeded and one of the less-loved machines has to go. Whatever the reason, you have suddenly become a used-bike salesperson. So how to sell a used motorcycle and how do you proceed from here? Much of what you do to sell your bike will depend on what you can reasonably sell it for. If you want to sell a bike for cash you need to set a proper price tag to it which should lucrative enough to host the buyers and profitable for you as well. You can look at the price guide “blue books,” but they have a variety of shortcomings, including a lack of regional bias. It’s better to do more specific research. If you know you will be selling a bike in the future, do the research in advance. Using local classifieds, internet sites, national motorcycle classifieds. You should see also what local dealers have in their used inventories. 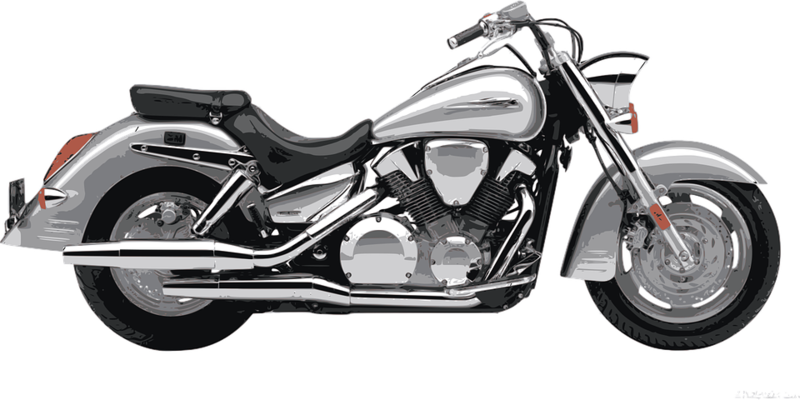 When the time comes to sell a bike for cash, contact these sellers, especially those in your area, since the popularity of some models varies by region. Have you customized your bike? If you want to know how to sell a used motorcycle, you should know the answer to the previous question well. Assuming the customized pieces fit well and still has a clean finish, most quality billet trinkets, and other minor changes will probably be slightly positive. But major changes can go either way. Those aftermarket pipes may be too loud for a potential buyer. That custom seat may look too uncomfortable or too fat to a buyer’s eye. The same is true for most changes that affect function. Some buyers will love them, but they are just as likely to put off more potential buyers. Ideally, the original parts are neatly stored away. Custom paint—If you sell a bike for cash then assuming the paint is in good condition, professionally done and not composed of something like Civil War battle murals or naked women with lots of piercings—can be a slight asset if it has broad appeal. If the custom paint is too unique, however, you should lower the price. Also, if you have a helmet painted to match, you should be prepared to include it. Try to view your bike through the eyes of someone who has no emotional attachment to it and look for aspects that could be flaws in his eyes; then, set a target price that reflects its true value. This should be below your asking price (what you plan to sell for after some haggling), but still slightly lower than that of the priciest comparable bikes advertised in your area. Make sure your target price justifies selling it—you may, not make enough to get that next bike. If you know how to sell used motorcycle then probably the mechanical considerations are of utmost importance. If the bike is running well, a fresh set of spark plugs is still good insurance. If the oil or other fluids are even slightly dirty, you should change them. The air filter should be clean, and all the controls should be properly adjusted per the manual. If the engine is a bit rough, give it a tune-up. If the problem is more significant—low compression, for example—you’ll have to decide whether you want to repair it or knock a big chunk off the price. If the rest of the bike is pristine and it’s a desirable model, you could recoup your repair costs. These steps will make you a master in how to sell a used motorcycle and if you ever sell a bike for cash you won’t have any problems. You can also visit The bike Buyers, they offer the best deals for used motorcycles and have a hassle-free process and with such ease, you will be able to sell a bike for cash.